Subaru has a wide range of accessories designed to fit in with all the things that you love to do. Whether it’s a quick pre-work surf, taking the dogs for a run or bringing home your new family addition for the very first time, we’ve got you covered. Tried and tested in Australian conditions and protected by our comprehensive Genuine Parts and Accessories Warranty, there are so many reasons to enhance your Subaru with the real thing. Factory approved by Subaru, our accessories can enhance your car to match your urban adventures and off-road escapades. All Genuine Subaru Accessories are designed and manufactured to meet Subaru’s quality standards. And of course when you purchase Genuine Subaru Accessories, you’re protected by our comprehensive Genuine Parts and Accessories Warranty. Where Can You Buy Genuine Subaru Accessories? Priced competitively and readily available, there are plenty of great additions to make your life even better on the road. You can pick up a whole range of genuine Subaru accessories at your local participating Subaru Retailer. 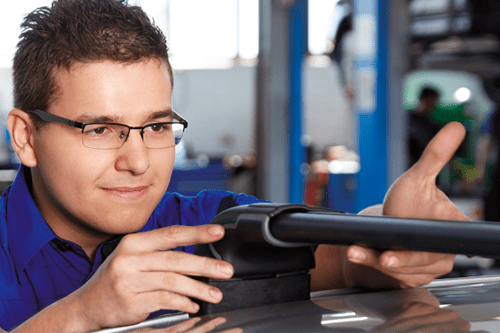 Parts and accessories purchased by you, that are fitted by an authorised Subaru Retailer, are warranted for 3 years from the date of purchase if fitted at time of purchase of the vehicle, or 2 years if fitted by an authorised Subaru Retailer at any other time. Genuine Subaru Parts and Accessories purchased in all other circumstances are warranted for 12 months from the date of purchase. Subaru Australia does not warrant parts or accessories fitted to your vehicle that are not Genuine Subaru Parts and Accessories as supplied by Subaru Australia.